Given that last week has opened the fourth supplier of LPG gas in the province of Malaga, specifically in the Costa del Sol town of Fuengirola, in this blog we talk a bit more about this fuel which certainly presents some interesting advantages. 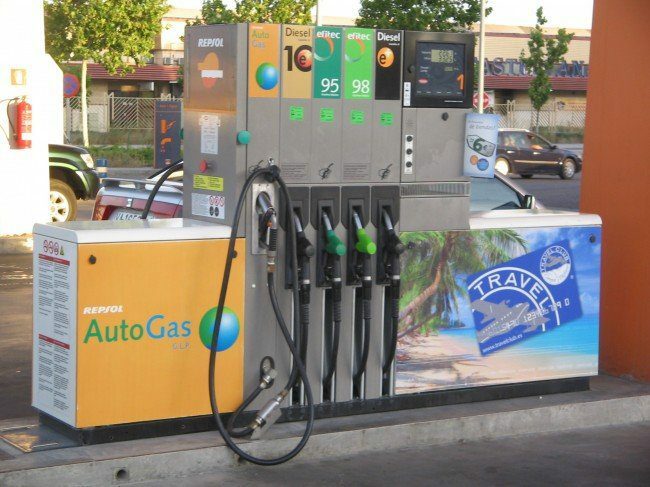 While in many European countries there are already a good number of Autogas filling stations, the use of this automotive fuel remains relatively unknown in Spain despite numerous economic and environmental advantages. Today in our country there are 102 service stations of Repsol, Cepsa, Agip and some independent operators who have installed pumps of this alternative fuel. It is expected that by the end of 2012 more than 200 service stations in Spain will offer LPG, or liquefied petroleum gas, which is allowed for private vehicles since 2003, but only about 7,000 cars circulate in Spain with this fuel. Anyone who driving along the Costa del Sol, has from now available another gas station to refuel LPG, located next to the Highway A-7, exit 212, off the neighbourhood of Los Boliches in Fuengirola. As mentioned before, this is the fourth supplier of LPG Autogas of the province and is the second most capable. In this sense, has been sought an installation at a strategic gas station, and thanks to its connection to the A-7 may serve both Fuengirola vehicles and those of neighbouring municipalities, which until now had to travel to Marbella or Malaga to refuel. I am trying to find a LPG (Autogas) filling station in Malaga. Avenida Valle-Inclan sevice station(Repsol) no longer sell it. Does Madese service station Carlos Haya sell it? I’m sure that one provides LPG. I am trying to find a LPG (Autogas) filling station in Malaga. I believe the one in Avenida Valle-Inclan(Repsol) no longer sell it. Does the Madese service station -Carlos Haya sellit? Does anyone know if any of these gas stations have tanks of LPG available for use with barbecues? Thanks! Hello Dwain, we are not quite sure what you are asking for. Gas for Barbecues? As far as we know, these work with Butano Gas which normally you can buy in any petrol station or Gardening equipment shops like AKI in Fuengirola. Regards! I would like to have a LPG tank in my car installed. Does anyone know a good garage near Marbella that specializes in LPG tank installations? Also, will it require special certification to get the installed tank passed IVA inspection? Hello Toine, maybe you find these two pages useful, kind regards! More countries should follow this lead!